On the 3rd of June 2014, the Committee on the Rights of the Child completed its consideration of the combined 3rd and 4th periodic report of India on the implementation of the provisions of the Convention on the Rights of the Child in the country. IBFAN presented an alternative report to inform the CRC Committee on the situation on the issue of infant and young child feeding in India. About 26 million babies are annually delivered in India. According to the National Family Health Survey-3 (NFHS-3) data, 20 million are not able to receive exclusive breastfeeding for the first six months of their life and about 13 million do not get good timely and appropriate complementary feeding after six months along with continued breastfeeding. The rate of early initiation of breastfeeding within one hour following the delivery is of only 23.4% and exclusive breastfeeding up to the age of six months is of 46.3%. However, the national legislation implementing the International Code of Marketing of Breastmilk Substitutes, called the Infant Milk Substitute Act, is still not effectively enforced. Therefore, an effective monitoring mechanism is required at state and district level. In addition, there is no comprehensive adequate training of health professionals done by the government, even though BPNI/IBFAN India has developed a training course and trained more than 15'000 health workers since 2004. Besides, the alternative report emphasized that an increasing number of institutional deliveries occur without adequate space, staff or infrastructure. The Baby-friendly Hospital Initiative (BFHI), launched in the country in 1993, has not been properly revived since then. Finally, it has been noted that he national legislation on maternity protection does not cover women working in private and informal sector. Clearly, the support to working mothers needs to be extended to women in the unorganized sector as they form the major part (almost 90%) of working women. Lastly, the alternative report states that the national guidelines on Infant Feeding and HIV have not yet been made into policy, and that there is no policy on infant feeding in case of emergency. The Committee raised the issue of maternal malnutrition and child stunting, and asked if there is any programme to address mother malnutrition. Furthermore, the Committee insisted on optimal infant and young children feeding practices, especially breastfeeding, to combat children malnutrition, which is proven to affect, inter alia, children’s learning capacities. The Committee highlighted the decline in breastfeeding rates in recent years and asked whether there were any programmes in place to remedy this situation. The issue of regional disparities in breastfeeding rates has also been raised, as well as the promotion of infant formula, despite the implementation of the IMS Act. The Committee showed concern for the Code violations that occur in India and wondered if they are the consequences of a lack of monitoring of the national legislation. It finally asked if there was any implementation of the BFHI at national level and if there were any national guidelines or policy on HIV and infant feeding. 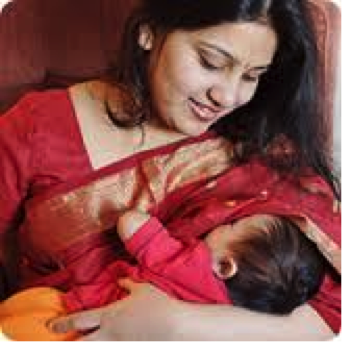 The delegation of India responded that the exclusive breastfeeding rate in India is about 40%, which is relatively high compared to other countries. It added that the high rate of institutional delivery (78%) gives the country a great opportunity to promote optimal breastfeeding practices to young mothers, and that dedicated breastfeeding counsellors are deployed in maternity wards throughout the country. The delegation expressed the hope that the actions taken would lead to an increase in breastfeeding rates. It admitted that India had been slow to implement the International Code of Marketing of Breastmilk Substitutes, but it stated that government is currently awareness-raising on the IMS Act among the district health officers. Regarding the issue of HIV and infant feeding, the delegation answered that the existing national guidelines do provide the appropriate guidance to the population. In its Concluding Observations, the CRC Committee made a wide range of indirect recommendations related to infant and young child feeding. At the level of general implementation, the Committee urged India to prioritize the development of the National Plan of Action to implement the 2013 National Policy for Children (para 14 (a)). It requested also the country to expeditiously improve its data collection system (para 20), and to provide all professionals working for and with children with adequate and systematic training in children’s rights, which includes in particular health workers (para 26). In the light of the CRC General Comment No. 16 on State obligations regarding the impact of the business sector on children’s rights, the Committee also insisted on the need to establish a clear regulatory framework for the industries operating in the State party to ensure that their activities do not negatively affect human rights or endanger other standards, especially those relating to children’s rights (para 30 (a)). Regarding health issues, the Committee requested India to increase the resources allocated to the health sector and to ensure that they are appropriate (para 18(a) and 64 (b)), with “particular attention to specific maternal and child health care policies, programmes and schemes to improve the health situation of children, in particular to respond to high rates of acute respiratory infections, malnutrition and diarrhoea”. The Committee also called for to the “effective implementation of the National Food Security Act (2013) which contains provisions aiming at combating children’s undernourishment” (para 64 (d)). The Committee also addressed the issue of HIV/AIDS mother-to child transmission by urging the government to “sustain the measures in place to prevent mother-to-child transmission of HIV/AIDS and develop a roadmap to ensure the implementation of effective preventive measures” and “improve access and coverage of antiretroviral therapy and prophylaxis for HIV-infected pregnant women […]” (para 68 (b) and (e)). In addition, the Committee issued direct recommendations related to infant and young child feeding (para 64 (d)). It urged India to “enhance efforts to promote exclusive breastfeeding practices, including the promotion of breastfeeding from birth, complementary feeding strategies with or without provision of food supplements as well as micronutrient interventions for mothers” and called for the “effective implementation of, and compliance with, the International Code of Marketing of Breast-milk Substitutes”, and establishment of a “monitoring and reporting system to identify violations of the Code”, as well as of “stringent measures” in all situations of violations of the Code. The Committee thus specified that “violations include the promotion and distribution of samples and promotional materials by the private sector institutions involved in the Infant Formula marketing and distribution”. Nonetheless, it is of serious concern that despite the systematic infringements of the Code committed by baby food companies, the Committee recommended India to “strengthen its efforts to address the existing disparities in access to and quality of health services, including by establishing partnerships with the private sector […]” (para 64 (a)).